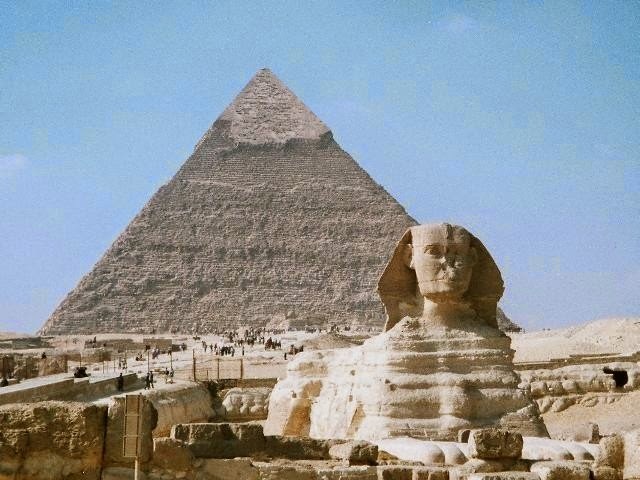 Traditional educational systems basically teach us that the history of man only dates back to about 8,000 years ago while religious texts date mankind to approximately 6,000 years ago. As you'll see, the history we have been taught has been manipulated and obscured from us. Ask yourself (or others) the following questions and feel free to comment at the end of the article! The map was drawn in 1513 by Piri Reis, who had privileged access to the Imperial Library of Constantinople. Contained within the notes found on the map, Reis stated that he compiled and copied the data from a large number of source maps, some of which dated back to the 4 BC or earlier. Our history books tell us that Antarctica was discovered by Captain James Cook while crossing the Antarctic Circle on January 17, 1773 with the ships HMS Resolution and Adventure. 1. 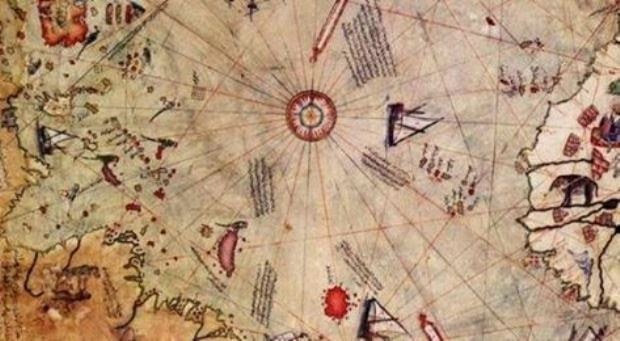 How did Reis know of Antarctica several hundred years before Captain James Cook ‘discovered’ it? 7. 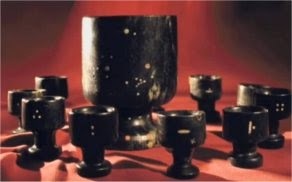 If scientists say that it is impossible to have a very magnetic inside of a jade cup with a non-magnetic outside of the same cup, then who created these vessels and In Illoinois a well bit brought up a 200,000 year old bronze coin from a depth of 114 feet just outside Chillicothe, Illinois. 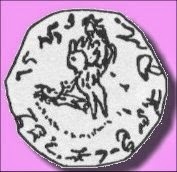 According to the Illinois State Geological Survey, the deposits containing the coin are between 200,000 and 400,000 years old. where are they from? More than 350 artifacts were found in Ecuador in an old tunnel system. 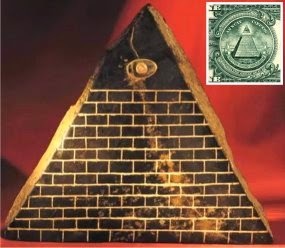 One artifact in particular shows the same pyramid with an all-seeing eye at the top of it (right). 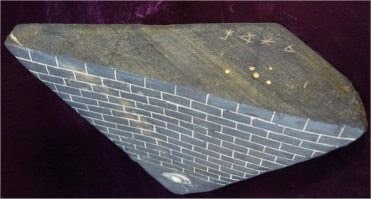 Under a black light, the eye takes on an interesting hue while on the bottom of this artifact (see picture below), you can see a star map of Orion's Belt along with writing that is older than any known writing on this planet. According to the research of Klaus Dona, the same writing has been found all over the world, proving that there was a pre-existing GLOBAL civilization that is much older than any Sanskrit writings. 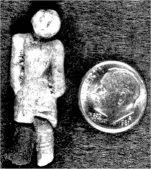 In the pre-religious Anunnaki creation myth, Anu had 2 sons, Enki and Enlil. Enki, also known as Ea (as inEArth) in Sumerian texts, was loving and kind to the genetically modified humans who mined gold for the Anunnaki. 15. Who is “us” and “our”? Over 200 metallic spheres have been found in South Africa and are estimated to be 4,500 million years old. 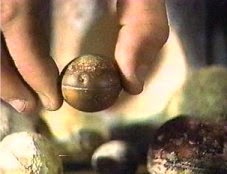 There are two types of spheres: "one of solid bluish metal with white flecks, and another which is a hollow ball filled with a white spongy centre" (Jimison, 1982). With the exception of stone and precious metals, virtually everything we own right now would eventually turn to dirt throughout the millennia, including all of our TV's, cellphones, cars, planes and everything made of plastic. If by chance, some major catastrophe were to hit our planet, within 100,000 years, just about every hint of civilization would be buried under years of decay. 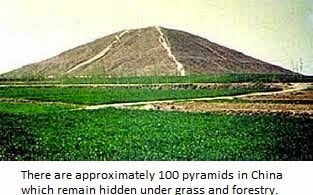 Why has our true history been hidden from us? What is the purpose of suppressing such information? 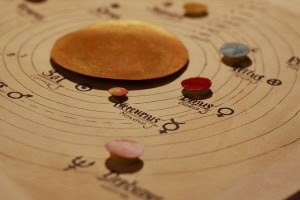 How many times have civilizations come and gone from this planet? Leave your comments below!